CBD oil and vaping are two mainstream product categories that hardly existed a decade ago. Nowadays, however, everybody is excited about the therapeutic properties of cannabidiol, and people are giving up smoking in masses in favor of vaping CBD. Online stores are growing in popularity to serve the new CBD fans, and CBD is even legal locally, available at a health store near you. Vaporizers have recently become popular among everyone; from A-list celebrities and public figures to medical cannabis patients and recreational users who care a lot about their well-being. But as it is with any product that suddenly receives much of the spotlight, the popularity of CBD has made the market explode with the abundance of cannabidiol-based products, including CBD oils for vaping. So, let’s say you’ve just figured out that vaping CBD is your way to go and thus you want to get the very best product for yourself. Well, not exactly. The aforementioned wealth of CBD oils makes it quite difficult to find the top-notch quality product, and the fact that clear regulations for CBD oils are still in their infancy doesn’t help. On top of everything, there are plenty of misconceptions about CBD vape oils, e-liquids, and vape juices – all of which can make you feel like you’re groping in the mist. Ready to clear things up and finally get the best bang for your buck? Once you have your vaping kit completed, it’s time to finally choose the best CBD oil for your needs. Get ready because this section will be full of meat! 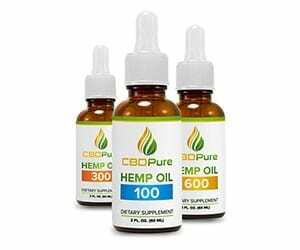 If you’re looking for CBD that is sourced from the finest organic, industrial hemp available, look no further because CBDPure is here to provide you with some of the best CBD oils for vaping. Their whole-plant extracts are a great source of other cannabinoids and terpenes, which contributes to the therapeutic effects of cannabidiol. You can purchase their CBD e-juice in three different strength levels: 100 mg, 300 mg, and 300mg. Given this, whether you’re an experienced vaper or you’re just setting your feet in the industry, CBDPure has all you need to fully enjoy your daily dose of cannabidiol. It won’t be an overstatement to say that Hemp Bombs is a true bomb in the CBD industry. 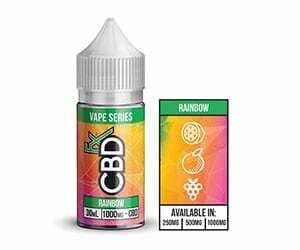 The company sells a broad selection of different CBD products, including tinctures, capsules, gummies, pain freeze creams, CBD syrups, shots, and vape goods. Let’s take a peek at their CBD vapes. The Hemp Bomb’s range of CBD e-liquids comes in four sizes: 75mg, 1000mg, and 4000mg of CBD per bottle. Each of those options is THC- and nicotine-free, with a VG/PG ratio of 70/30. But the best part about Hemp Bombs is the variety of different flavors they offer – our favorite was hands down the Chocolate Donut one. As long-time vaping enthusiasts, we felt impressed by both the taste and the vapor quality, not to mention that the liquid produced its effects almost immediately. The only thing that we’re not so enthusiastic about is that Hemp Bombs makes their products from a CBD isolate. Given this, it takes more CBD to exhibit the desired effects than it would if the liquid was made of, at least, a broad spectrum of cannabinoids. But then again, the concentration of Cannabidiol in Hemp Bombs’ goods is large enough to meet your dosage requirements. 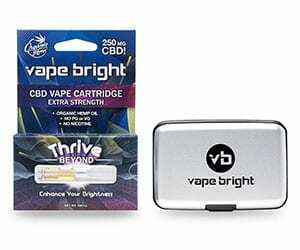 The CBD vape juice market has already become home to some true professionals in the industry, and Vape Bright is one of those big fish. The company sources their CBD oil from the finest quality, organic hemp, providing customers with natural and potent CBD extracts that contain no traces of nicotine, Propylene Glycol, or Vegetable Glycerin. 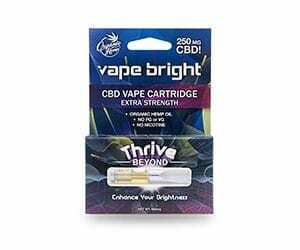 Moreover, Vape Bright CBD oil cartridges are extremely easy to operate. All it takes to enjoy the benefits of Cannabidiol is to screw the cartridge onto the battery, use ts tip as the mouthpiece, and take short puffs so as not to overheat the device. The battery can last a total of 100 inhalations, meaning that it will need charging somewhere in the middle of the cartridge’s capacity. Better yet, it takes as little as 30 minutes to fully charge the battery. As for the effectiveness of the Vape Bright CBD range, it does its job just perfectly. The effects begin to show up almost immediately after the last inhalation, lasting between 2-5 hours depending on the dosage. The only thing you may find not-so-appealing if you’re a cloud chaser is that Vape Bright’s products do not produce dense clouds of vapors, unlike its competitors. But then again, the company doesn’t use PG or VG to make their vapes, so trading some short-lasting visual experience for better health seems like a decent choice. CBDfx provides their customers with fully organic CBD vaping oils that have been specifically designed to fit into other types of e-liquids. The family-owned company uses natural hemp cultivated in EU to ensure the best quality of cannabidiol. The three-step CO2 extraction process has enabled CBDfx to give you the purest CBD possible. Although it takes some time to find the right dosage of this CBD vaping oil, once you figure it out, using the liquid will be a straightforward process. We recommend skipping the 60 mg bottles and use bigger volumes if you really want to maximize your satisfaction from vaping the product. Don’t go overboard, though! Too much of the oil can make you feel drowsy, according to the customer feedback. Koi is one of the most recognizable brands in the CBD industry right now. The company offers 99% pure CBD with 0% of THC content. 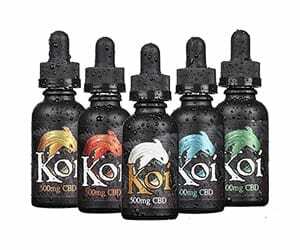 Despite being a bit pricey, Koi CBD vaping oils bring the true quality to the table. Aside from the liquid’s purity, the company has changed the game of CBD e-liquid flavors forever. You can choose from a variety of mouth-watering flavors, from the blue raspberry tart and creamy vanilla custard to peppermint, green apple, and even fresh watermelon. It’s quite impressive if you ask us. Nonetheless, if you prefer to add flavorless extracts to your e-juice, Koi has got you covered – they have this option in their assortment, too. Most importantly, Koi is open about their third-party test results, so you can verify if their label claims actually real. Speaking of vape pens, one simply cannot vape CBD e-liquids without some solid equipment. Although choosing the best vape pen for your oil is another pair of shoes, here’s a brief overview of some of the most reputable brands and products on the market. The CBD oil used in the Thrive range is CO2 extracted from 100% organic hemp, which is amazing because this leaves no possibility of toxins or heavy metals left behind by the extraction process. Upon inhalation, the oil has an earthy cannabis flavor with subtle pine nots as well. If you like the distinct scent and flavor of hemp, you’re going to be satisfied with this vape. But the best part of the Thrive CBD oil is the ease of use that it offers, being a self-contained vaporizer. This makes it incredibly convenient and easy to use. 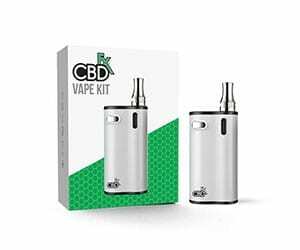 The CBDfx vape kit has everything you need to start your adventure with CBD oil for vaping. Although tricky at first, the CBDfx vape kit offers a very intuitive control menu that allows you to choose between four different temperature settings. With CBDfx, you will be able to draw perfect hits each time you turn the pen on. Moreover, this CBD vape kit makes the whole experience more comfortable with its multiple heat settings, sleek design, and portability. You can buy an empty cartridge and fill it with your own vaping oil, or insert a pre-filled cartridge to enjoy different flavors of CBD. 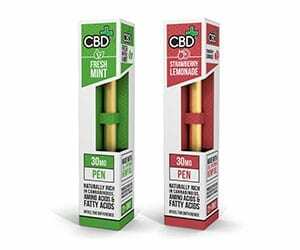 This vape pen is perfect for people who want to try CBD for the first time and are not up to serious investments yet. The CBDfx disposable pen doesn’t require you to be a master vaper. There are no buttons, no temperature settings – all you need to do is puff and inhale the vapor – until you use up that 30 mg of CBD. As for the CBD content, the cannabinoid is extracted from organic hemp grown in EU, in a cGMP certified pharmaceutical grade facility in the United States. If rather than testing vape pens, you aim at testing the quality of CBD, the CBDfx disposable pen should meet your standards. Although not marketed as a typical CBD vape pen, the Halo Tracer V2 Starter Kit is what you need to quickly deliver your daily dose of CBD. The tank is capable of handling 4mL of the CBD e-liquid of your choice and has a strong 2300 mAh battery that can be charged with micro USB. The device is made of top-notch quality materials found in the most advanced e-cigarettes pens. Stainless steel base, organic cotton wicks – they’re both here. It won’t be an overuse to say that it brings the best things from the world of e-cigarettes to the CBD vape pen industry. On top of that, the starter kit comes with a 30 ml bottle of Halo’s delicious CBD flavors. This is just the perfect vape pen for people who like to vaporize their CBD oils on the go. Halo Triton II is one of the most pocketable CBD vape pens on the market right now. Aside from the vaporizer, the Halo Triton II starter kit offers two 750mAH batteries and three 0.75-ohm coils. This, in turn, allows for puffing flavorful clouds of vapor while drawing the benefits of using CBD. Alas, the aforementioned portability has its price. The device doesn’t do well in terms of the capability; the tank can only handle 2 ml of CBD vape oil. That being said, we would recommend it to somebody who wants to try CBD for the first time and doesn’t need much of the cannabinoid on a daily basis. Sealed design; can’t monitor the liquid. Kandypens is one of the most respected brands in the industry. They produce great vape pens, and the RUBY vaporizer is a true testament to their quality. Don’t be fooled by its compact sized, because RUBY is capable of delivering heavy clouds of vapor, bigger than most vaporizers can produce. RUBY has been designed for vapers who appreciate the freedom of choice. Its refillable 1 ml pods allow you to use any CBD liquid you desire. For novice vapers, the unit’s price may look hefty at first glance, but the overall performance is well worth the money. Before we get to the vaping part and all that technical stuff, let’s see if you know the basics. There are hundreds of different CBD products on the market. You can find CBD oils from the cannabis sativa plant, but you will also come across hemp-derived CBD oil. Let’s have a brief overview of the differences between these two. Pure CBD oil is extracted from the cannabis sativa plant, namely from the flowers, leaves, and stalks. 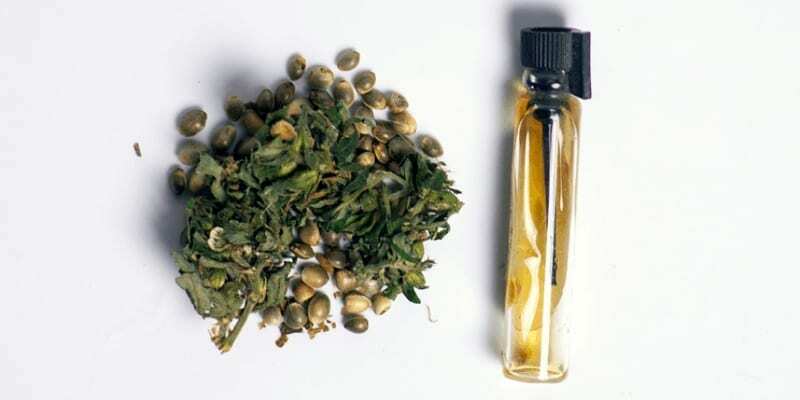 The extraction results in a tincture with high CBD content, ranging between 2% and 99%. However, the majority of cannabis strains contain high levels of THC, the intoxicating compound in marijuana. That being said, CBD oil companies have to use selected strains in order to achieve a pure CBD product. Those strains are specifically bred to contain only traces of THC, with an amazing content of cannabidiol. Any hints in terms of the strain selection? Well, AC/DC, Harlequin, CBD Critical Cure, and Charlotte’s Web are among the most common use of cannabis strains to produce the best CBD oils for vaping. Let’s not forget that CBD oil is legal only in states that have accepted a medical or recreational use of cannabis. Hence, if you’re considering the use of CBD oil, make yourself familiar with your state’s laws in order to avoid legal problems. If you don’t live in a cannabis-friendly state, you can only purchase CBD hemp oil, which is legal in all 50 states. What’s the difference between CBD oil from cannabis and CBD oil from hemp? CBD hemp oil is extracted from the seeds of the plant with the cold-press process. Most manufacturers use industrial hemp, also known as the cannabis ruderalis. This variety produces little to no traces of THC, yet still comes with a significant amount of CBD. Some CBD users claim that CBD oil from cannabis is more effective than the one extracted from hemp, but this is one of the most common misconceptions about cannabidiol. In truth, it’s been scientifically proven that CBD hemp oil provides the same benefits as cannabis-extracted CBD oil while maintaining a highly valuable vitamin profile. Much is yet to be discovered about the full therapeutic potential of cannabidiol and we’re excited for more news from the medical world. Now, let’s see why people like to vape CBD oil so much. Why Vape CBD In the First Place? Well, there are three reasons why people prefer vaping CBD over other methods of consumption. You can consume CBD in many different forms: tinctures, topicals, edibles, concentrates – you name it. If you live in a cannabis-friendly state and have a medical marijuana card, you can even smoke dry CBD flowers. However, smoking causes combustion, and combustion produces harmful substances, such as carcinogens. Vaping, on the other hand, heats up CBD to the certain temperature so that it creates vapor instead of smoke. The vapor is free of the aforementioned toxic compounds. When you eat CBD-infused edibles or apply tinctures under your tongue, it takes a while for the effects to become noticeable. Vaping allows you to draw benefits from your CBD oil almost instantly. This just in, the vast majority of content from your CBD oil actually gets to your system, whereas smoking produces 75% waste, meaning that only 25% of the whole cannabinoid profile is absorbed. What’s The Difference Between CBD Vape Oil And CBD E-Liquids? Now, let’s explain the difference between CBD vape oil and CBD e-liquids. Back in time, distinguishing between those two was quite simple. Nowadays, however, we have so many products to choose from that this cannabis lingo can be really hard to understand. CBD vape oil, or CBD e-liquid or vape juice is basically just the same thing; in short, it’s the umbrella-term used to describe CBD oil that has been specifically manufactured to be vaped. E-liquids, also known as CBD e-juice, are pre-filled cannabis CBD oil cartridges. The main difference between regular CBD oil – one you will find in a bottle – and e-liquids is that regular CBD oil doesn’t contain Propylene Glycol or Vegetable Glycol. These two substances are interchangeably used by e-liquid manufacturers to improve the juice’s viscosity so that it can be compatible with the electronic heater coils used in vaporizers. Some CBD companies offer isolated CBD extracts, meaning there are no extra cannabinoids, terpenes, or flavonoids in the oil’s content. However, 100% pure CBD isolates have been discovered to work worse than full-spectrum CBD products that use whole-plant cannabis compounds. Unfortunately, you can’t. There’s a reason why people have come up with this somewhat foggy classification. As we mentioned before, “CBD vape oil” or “CBD e-liquid” is a name used to describe any CBD-based product that has been manufactured specifically to be vaped. By the same token, regular CBD oil is meant to be applied sublingually. The process of vaping cannabidiol and the ingestion mechanism are not interchangeable; simply put, you cannot vape an oral cannabidiol tincture, or ingest and swallow an e-liquid. 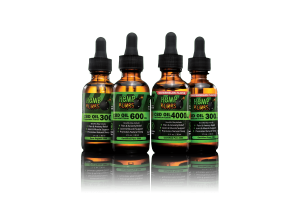 What About CBD Vape Juice – Is It the Same as Vape Oil? Yes, CBD Vape Juice and Vape Oils are practically the same. If you see the “VAPE” word on the label, the oil should be good to go with your vape pen. How to Choose the Best CBD Oil For Vaping? Okay, you’ve done excellent so far. So much knowledge, so many crazy terms, and you’re still with us – congratulations! Now, let us look at the decisive factors you may want to consider before purchasing the best CBD oil for vaping. After all, we look for the top-notch quality, so please, pay close attention to what we’re gonna mention here. If you want to find the best CBD Oil for vaping, check if the product is homogenous. “Homogeneous” means that the oil is well mixed and doesn’t split into different layers. CBD oil manufacturers have a huge problem finding the appropriate formulas for their e-liquids because CBD is very fussy when it comes to mixing with the majority of e-liquid bases available on the market. If the oil separates easily, it will be more difficult to control the dosage when adding the product to your pen. CBD oils of decent quality are crystal clear. The oil should allow the light to pass through without any disturbance. Bad products, on the other hand, will look cloudy and resemble syrup in terms of consistency. Does the Oil Meet Label Claims? Let’s be honest, in a young industry – and we cannot deny that the CBD industry is actually very young – many manufacturers are tempted to fall short of label claims to increase the sales rate of their products. Thus, it’s of the utmost importance to stay vigilant when shopping or your CBD vape oil. Don’t be afraid to ask for third-party test results. Such tests are performed by independent laboratories to prove (or disprove) label claims so that you actually know what you’re buying. Is It Compatible With Your Vaporizer? Choosing the oil that won’t work with your vaporizer brings you one step closer to blowing your vaping device a kiss of death. Liquids that are not homogenous and infused with vegetable glycerin tend to dry out and harden on the wicks of the tank, which can make it unusable over time. That being said, you’d better invest in a ceramic heating element, or choose a fully-homogenized vaping oil to ensure it’s a good fit for your vape pen. Finding the Best CBD Oil For Vaping: Chewie, We’re Home! Okay, fellow vapers, now you’re armed and ready to find the best CBD vaping oil. As you can see, there are plenty of factors to pay attention to. First and foremost, you must be able to distinguish between orally-applied CBD oil and CBD e-liquids, or e-juices if you want to call them like that. Once this is done, go ahead and check if the CBD vaping oil of your choice meets the standards we’ve described here. Let’s not forget about the importance of vaping equipment, though. If you want to make your vaping experience consistently good, you’ll need a decent-quality vaping kit to get you started – regardless of whether you’re a novice vaper or a savvy professional. Finally, there’s the question of your CBD e-liquid. Shooting blinds may eventually backfire, so the above guide should serve as a nice benchmark for your further research. Of course, it may happen that you will find your dream CBD vaping oil upon your very first purchase, but sometimes, it takes a while to experiment with different products until you spot the right one. Are you ready to hunt now? We hope so!